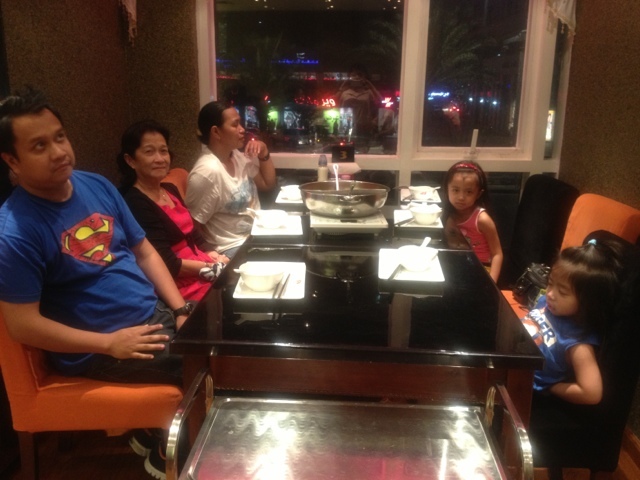 I was craving for the salty and spicy soup that a hot pot offers, so I decided to invite the whole gang at Qian Zhou Hot Pot located in the same building as The Philippine House Restaurant. The variety of food that it offers, for me, is limited. 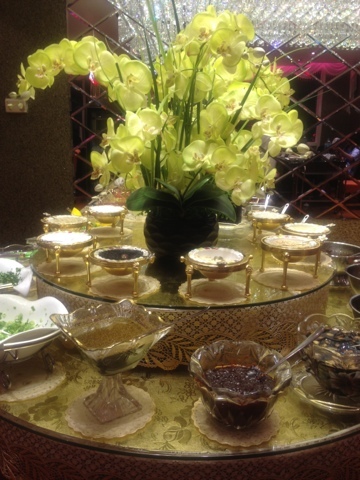 If you have kids who are rather picky eaters, I suggest that you order dimsum for them. You can either have it fried or steamed, but you must inform the waiter beforehand if you'd like to have it fried because the standard that they serve is steamed. Their sauce corner was enticing! 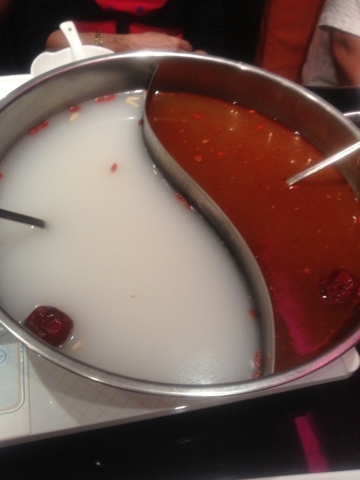 We ordered a Ying-yang pot, which is good for five persons. The soup base were beef and hot and spicy. It costs 25 AED. 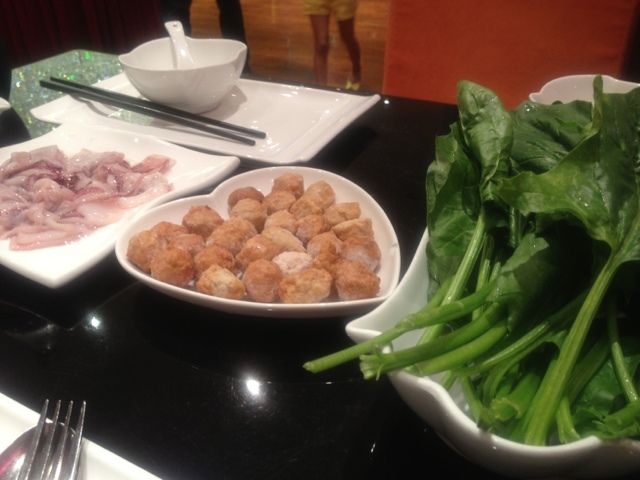 We then ordered lettuce, spinach, squid, and chicken balls, which I think was a bit expensive. 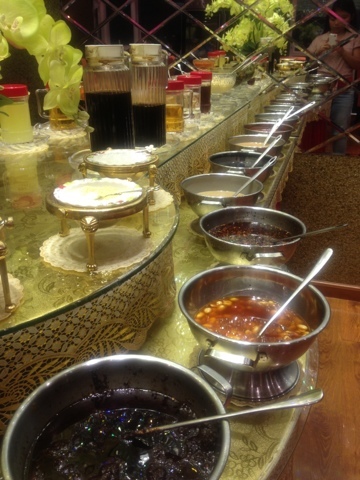 We also ordered sticky rice, which was 2 AED per bowl. The verdict: Not everyone enjoyed it. The complaint was it was either too spicy or too bland. If you are not really adventurous when it comes to food, I wouldn't recommend this because for the soup to be tastier, you have to be more creative with the sauce.